Pigeon Forge family fun can be found nearly everywhere you turn at this Tennessee destination. How do you choose what to do? Don’t miss these Pigeon Forge family attractions on your next Smoky Mountain vacation. And if you want even more things to do during your trip, check our thoughts on Country Cascades too. 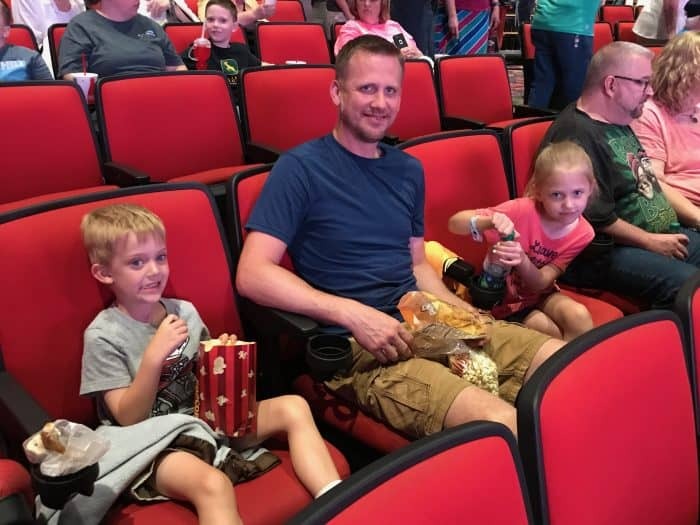 There’s so much family fun to be had in Pigeon Forge that you could probably spend a month there without experiencing it all. 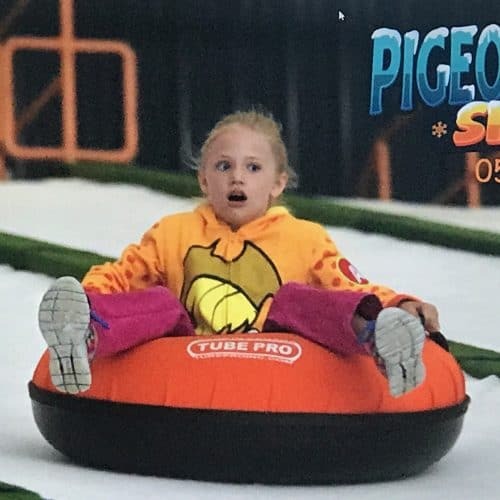 Since you’ll have to pick and choose which Pigeon Forge attractions for kids to participate it, check out our top recommendations. 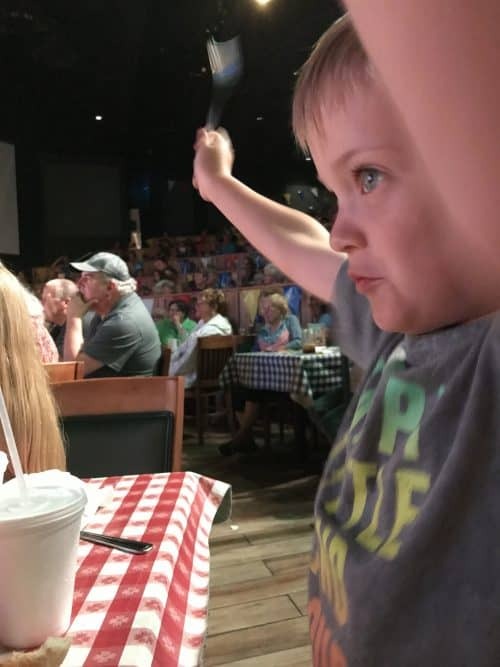 This was our second visit to The Hatfield & McCoy Dinner Feud, and the kids loved it just as much at ages 5 and 7 as they did at 3 and 5. 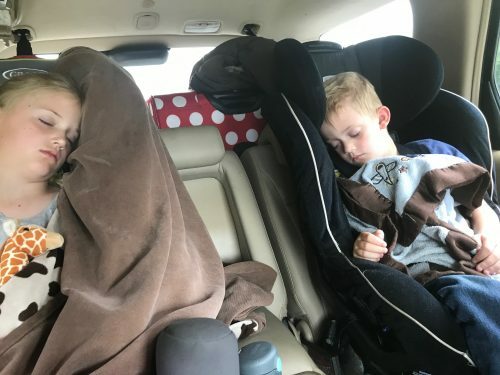 There’s just too much going on at all times for them to get bored! New for 2018 is the addition of a $3 million water feature that allows for diving dogs and hillbillies. Don’t miss it! This is what Pigeon Forge family fun looks like! My kids would have stayed here half the day if we’d let them. The food was delish and the arcade prices reasonable compared to Dave & Busters, etc. We enjoyed the most peaceful meal we’ve had in a long time thanks to the arcade, kid-friendly fare, and quick service. 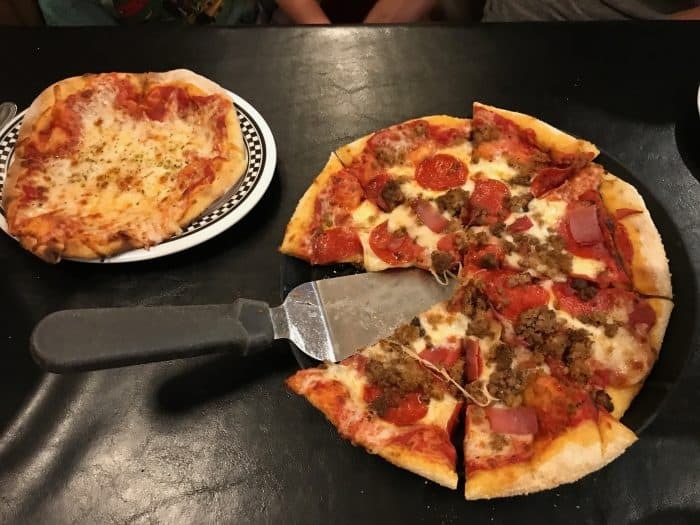 The kids’ meals come with a personal pizza, drink, and dessert! All our wood-fired pizzas were delicious as was my submarine sandwich. Allow plenty of time on your itinerary because you might have to drag the kids out of here. Perfect for rainy days! 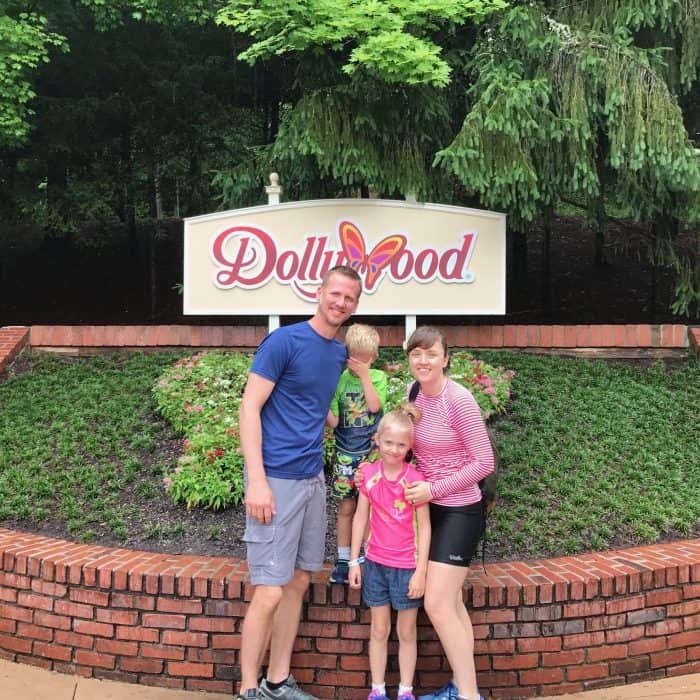 You can’t get through a list of Pigeon Forge attractions kids will love in good conscious without mentioning Dollywood. 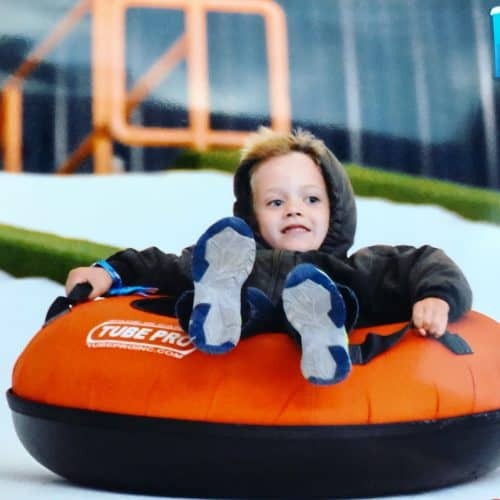 Whether your littles are thrill seekers or like to play it safe like mine, there’s a full day’s worth of fun to be had here even in the rain! 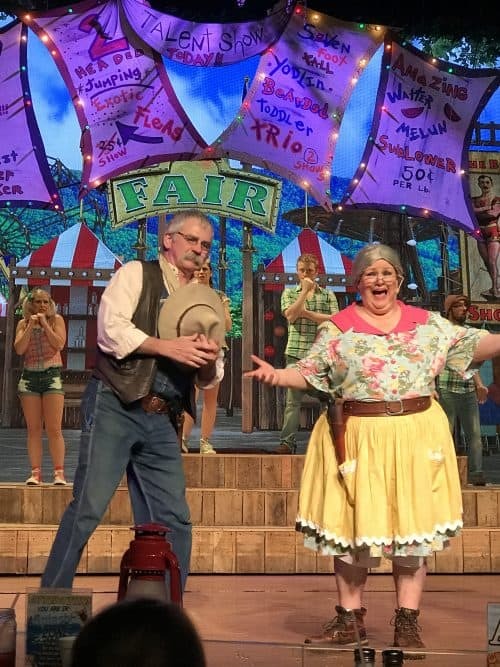 There’s usually something special going on at Dollywood to add to your Pigeon Forge family fun. This time of year it’s the Barbeque and Bluegrass Festival. Talk about some good eats! Check out all the fun we had! Hubs and I especially appreciated the child swap option which allowed us to ride a couple of coasters for the first time in years. 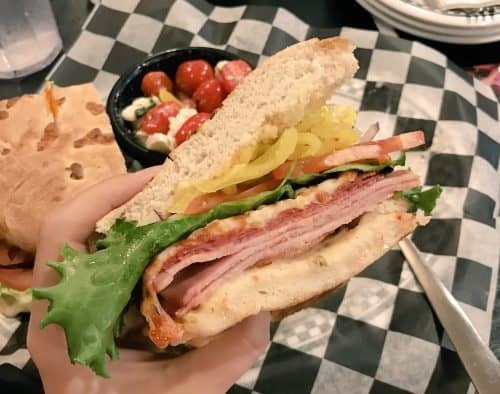 Frizzle Chicken Farmhouse Cafe (Frizzle Chicken Pancake Coop if you go for breakfast) is one of the newest Pigeon Forge family attractions. It’s located right next door to The Comedy Barn and you can get a combo ticket for dinner and the show if you like. We opted for brunch and were not disappointed. When you start the morning off with animatronic chickens clucking “Let It Go,” you know it’s going to be a good day. I want to go back just to hear Bohemian Rhapsody and if you’re visiting during the holidays, it looks like they have some Christmas tunes planned. Speaking of The Comedy Barn, this was our first time attending the popular, long-standing Pigeon Forge family fun spot. We came for the laughs. Gus came for the popcorn. 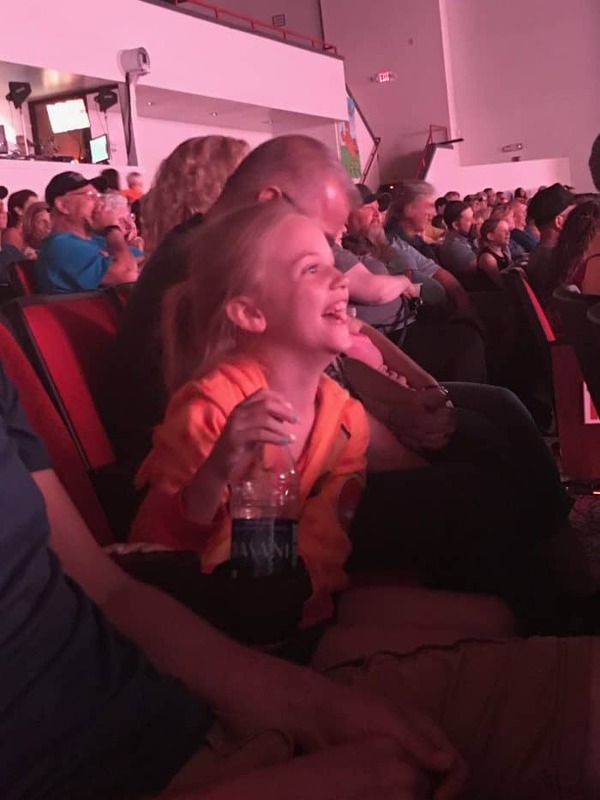 There’s a strict no-video policy here, but that didn’t stop me from capturing my normally reserved daughter from actually rolling in the aisles a little bit. 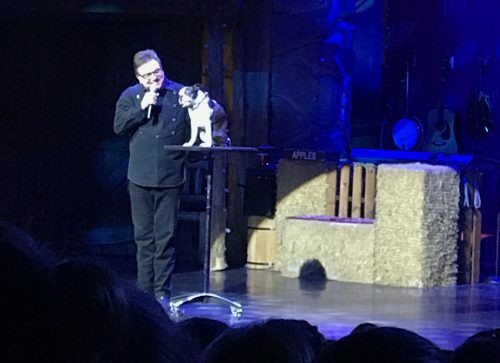 Both kids named this ventriloquist act the best in show, and I appreciated the message of adopting rather than shopping when it comes to pets. The Comedy Barn is as squeaky clean as it gets so bring your little ones without worry. Sweet T was one and done but was so proud of her bravery that she has this photo framed in her room so she’ll always remember. Gus is a little more daring as you can see. There’s also a snow play area for the kids. Surprisingly, the temperature indoors is very mild. You’ll be fine with a light jacket at most. That’s good news for the cold-natured like me! WonderWorks is one of Pigeon Forge’s most popular attractions, so your best bet is to arrive right at opening in order to avoid long lines. This is especially true of rainy days! Showing up as they opened served us well, and the kids had lots of rainy day fun. 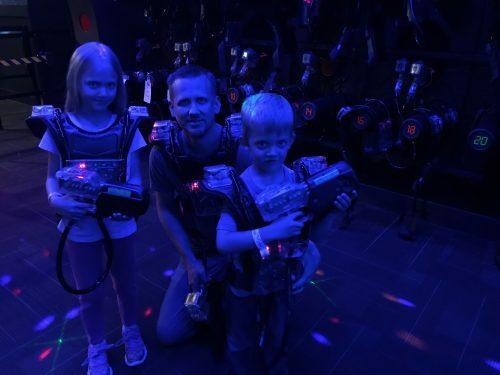 By the time the crowds picked up, we had completed everything we wanted to do including laser tag. And this was on Memorial Day! Basically treat WonderWorks like you would a theme park, and with a little planning you’ll be just fine. Gus won’t allow us to leave Pigeon Forge without one (or five) go kart rides at The Track. He’s serious about it! He and I like to ride together on The Wild Woody just as fast as we can. 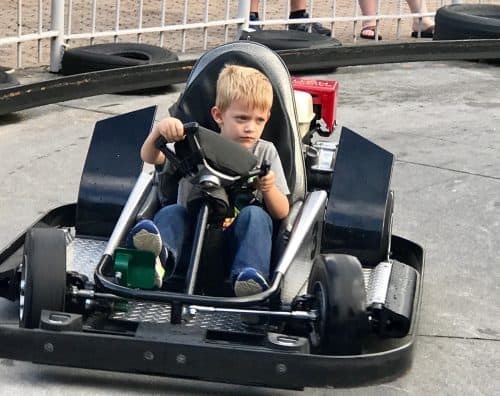 He can’t wait to be tall enough to drive the big karts himself. Sweet T is more of a Kid’s Country kind of gal and she also enjoyed playing mini-golf with her dad while Gus and I sought go kart thrills. This is Pigeon Forge family fun at it’s most nostalgic for me. Did you love gem mining as a kid too? Heck, I still enjoy it. 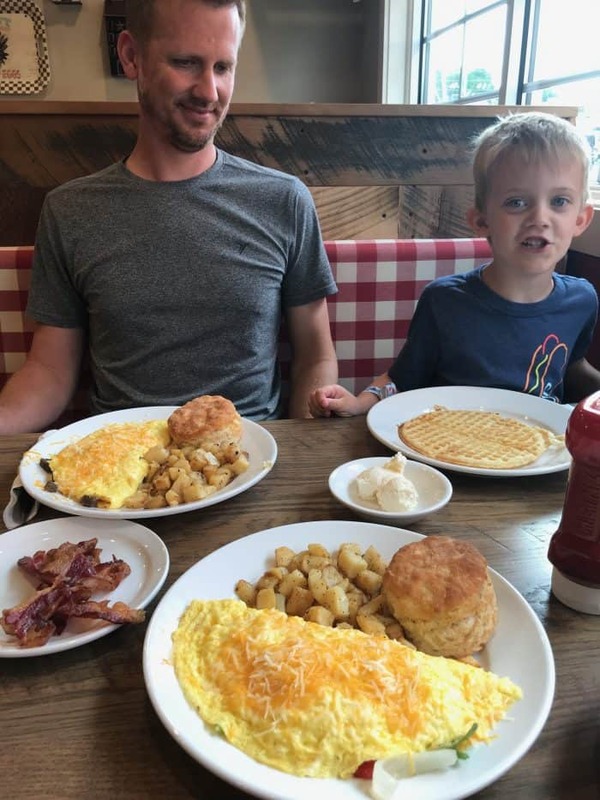 There are so many Pigeon Forge family attractions, but gem mining is something Sweet T and Gus beg to do every time we visit Pigeon Forge. It’s often the simple things that kids love best. We always have them share the $25 bucket and they wind up not only with a memorable experience but with some unique souvenirs too. Goats on the Roof gift shop – Not to be confused with the location where goats are actually on the roof and there’s an alpine coaster, the Goats on the Roof Gifts Shop is located right on the Parkway. It’s “just” a gift shop but you’ll find goats inside! I’m not sure if they were babies or minis, but it’s worth stopping by to greet and pet them. Maybe you’ll even see them take a turn on their little trampoline! Hiking/Geocaching – We didn’t plan time for either during this trip, but there are some amazing trails and a bevy of geocaches just waiting to be found in Pigeon Forge. 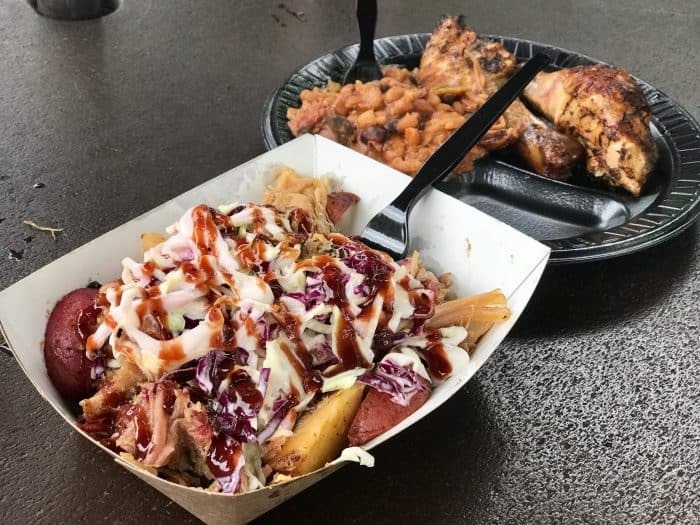 Joe’s Crab Shack – This is a post about Pigeon Forge family attractions, but even though it’s Sevierville, I’m going to include Joe’s Crab Shack. Why? 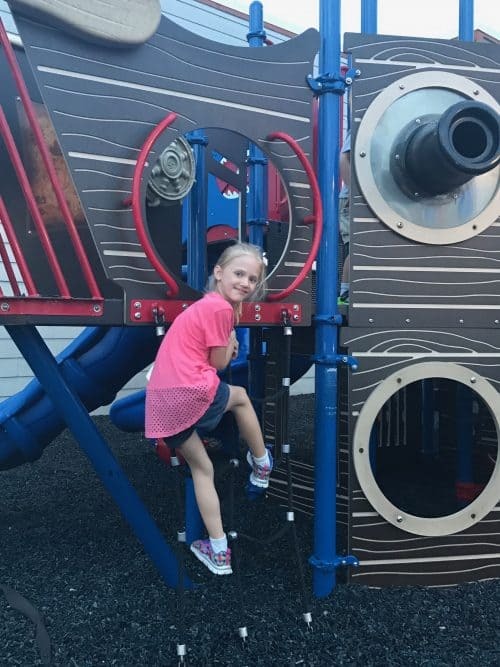 It’s is on your way out of Pigeon Forge if you go that route (and we always do) and this particular location has an epic playplace that’s the perfect way for our kids to stretch and roam before being stuck in the car for a few hours. Food costs money, but you’ve got to eat so why not do it where your kids can be entertained for free? Which of these Pigeon Forge family attractions are your favorite? 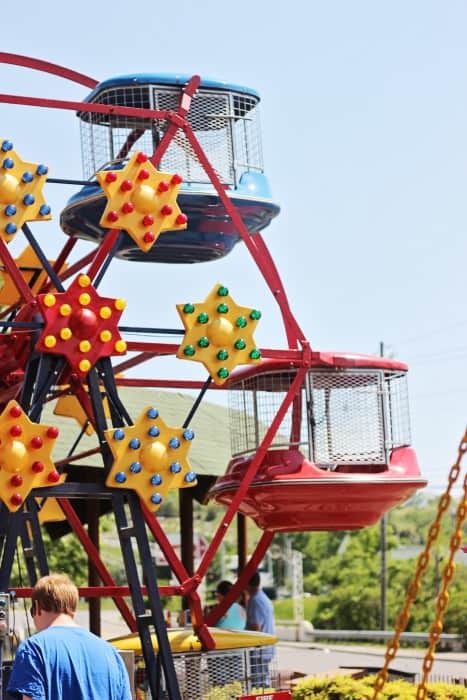 What are your best tips for Pigeon Forge family fun? Let me know on Facebook! I received complimentary accommodations and attraction tickets for some of the places mentioned in this post. All opinions are my own.